Find patients with bounced-back emails quickly and easily. 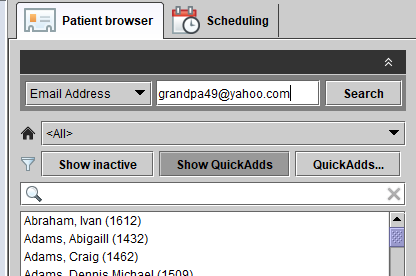 Email Address is now an advanced search option within the Patient browser. Telephone (home) is no longer a required field in the patient’s Details tab. Telephone (home) no longer required. Title, gender, and birth date are new optional fields when creating a QuickAdd file. Information stored in these fields will transfer to Noah if the QuickAdd file is exported to Noah upon creation. Optionally, store Title, Gender, and DOB. Back by popular demand —The Appointment button on the left toolbar will now always remain active, so that an appointment can be created directly from the Scheduling tab without first selecting a time slot. Click the Appointment button on left toolbar. 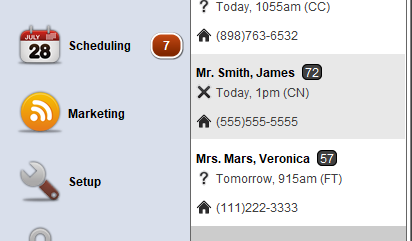 Automated email and text message appointment reminders can be selectively enabled for specific appointment types. 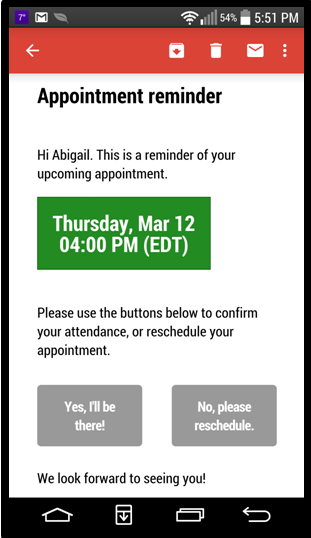 Example: If you schedule back-to-back, patient-linked appointments, such as a counseling appointment immediately following a fitting, appointment reminders can be disabled for fittings to ensure the patient only receives a single reminder (for the counseling appointment). 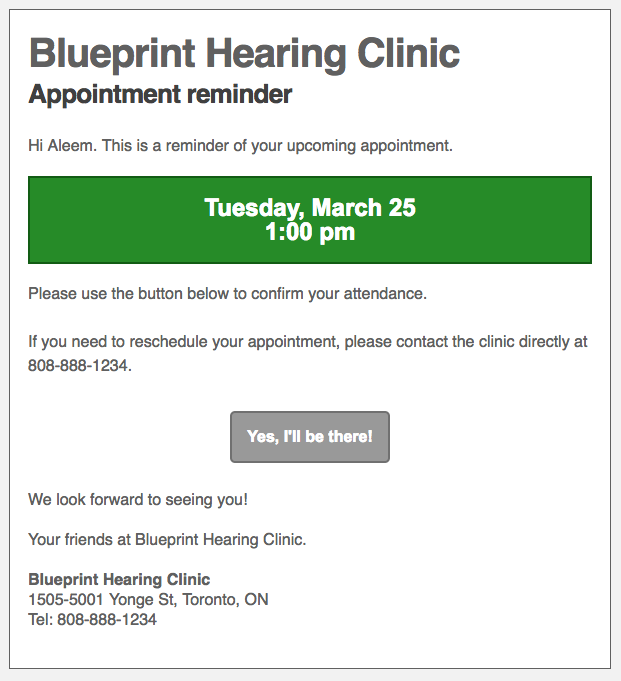 Currently, if a patient cancels their appointment via an automated reminder, the appointment is marked cancelled in Blueprint and added to the Action required panel indicating that follow-up with the patient is required. Click the red notification badge to expand the Action required panel. Now, the option for a patient to cancel their appointment can be removed completely from the automated reminders. Please contact our technical support team if you would like to disable electronic cancellations via appointment reminders.